“Arjuna, can there be anything other than liberation for one who longs for it? He is merely taking rest for some time, and even during that rest period there is such a happiness which even gods do not gain. Had he practiced yoga then he would have attained liberation before death. But because of lack of speed he had to stop in the middle; but liberation is reserved for him. (6:437-440). He reaches with ease the planes which even Indra the king of Gods finds it difficult to attain. But he gets sick of the incomparable enjoyments on these planes and says all the time, ‘Oh God! Why are there impediments in my path to liberation?’ Then he returns to the earth to be born in a religious family and starts gaining spiritual wealth. People in such family observe morals, speak clearly and truthfully and behave as prescribed in the Scriptures. (6:441-445). Vedas are the living deity for them, their actions are guided by Swadharma and discrimination, thoughts of God alone enter their minds and their wealth is their family deity. The person happily is born here on the strength of his meritorious deeds. (6:446-448). Or he is reborn into the family of a yogi of high level. Even as a child he is already loaded with knowledge because of his past. Due to his mature intellect he knows all branches of knowledge easily. (6:451-454). His intellect develops further from the point of his death in the earlier lifetime and he is able to grasp mysterious subjects and even difficult things told by a Guru. (6:457,459). His sense-organs come under his control, mind becomes one with the Prana the vital life-breath and the Prana dissolves in the Consciousness. Somehow, yoga practice also comes easily to him and he can attain the Samadhi State effortlessly. (6:460-461). He attains Siddhis even while he is an acolyte. (6:464). He is able to do his spiritual exercises effortlessly because he has reached the shores of the Self-realization after millions of years and after overcoming the impediments of thousands of births over millions of years. He gets the power of discrimination and putting that also behind in time and going beyond thought he becomes one with the Brahman. (6:465-467). He then gets that indescribable and unfathomable bliss which is beyond words. He becomes the living image of the state of the Brahman, which is the ultimate destination. (6:469-470)." The autobiography of Purohitswami bears out all this as will be seen even from his brief biography. Birth and early childhood Purohitswami’s birth name was Shankar. He was born in Badnera, situated in the Vidarbha region of Maharashtra on October 12, 1882. His father Mr. Gajanan Purohit was a wealthy and religious Maharashtran Brahmin. He was a man of principles and with a basically detached nature. Gajanan’s father died when he was only eight years old and his mother Akkasaheb leaving the inheritance to her stepson to avoid disputes went to live with her brother in Satara District taking young Gajanan with her. At a tender age of fifteen Gajanan took up a clerk’s job in the then Great Indian Peninsular Railway (now Central Railway) and came to live at Badnera. His first two children were daughters. Gajanan prayed to Lord Shiva for the gift of a boy. His prayers were answered and he was blessed with a boy whom he name Shankar. (Two more daughters and one son followed later). He rose to become chief of administration in the GIP Railway but for health reasons left his job and settled in Amaravati working as a clerk. He was never attracted towards wealth. Akkasaheb herself had a sound spiritual base. She was a keen devotee of Goddess Mahalakshmi. When Shankar was only eight, Akkasaheb told the family members that she was going to leave her body that afternoon. She asked her bed to be spread and lay down on it with a cloth belonging to her late husband which she had still treasured. She lay down on the bed, drank a little Ganga water and left her body calmly with the name of Goddess Mahalakshmi on her lips. Such was Shankar’s (Purohitswami’s) family background. Before the final moments she had called Purohitswami and with her hand on his head blessed him saying that he would realize Truth. Right from childhood Purohitswami showed keen interest in religious festivals. His thread ceremony was performed at the age of nine after which he was entitled to carry out the regular daily rituals assigned to Brahmins. Yogis and saints always used to give him special attention for they apparently realised his spiritual status from earlier births. His father Gajanan was well read in religious literature. He was a devotee of Shri Dattatreya and used to read Gurucharitra daily. In his company Purohitswami realised that devotion to God is pure and holy by itself and one should not ask Him for petty things in life. After passing the Matriculation exam at the age of sixteen he joined Morris College in Nagpur in Arts branch. Like his grandmother he was also attracted towards Goddess Mahalakshmi and spent nights pining for her vision. One night she did come in his dream and asked for what he wanted, but he remained tongue-tied. She kept Her blessing hand on his head and disappeared. He woke up happy now sure of Her support. Introduction to the Occult He was never interested too much in studies but somehow managed to reach the final year of BA with philosophy as special subject. His professor of philosophy recognised his interest in the spiritual field and advised him that the bookish knowledge of philosophy would not be useful to him and that he should consult a yogi. He then introduced Purohitswami to the Shankaracharya of Shivgangadham who was a learned person well versed in yoga. Purohitswami used to visit him every evening for some time. Later he met a sage, a person who had experienced Self-realisation, who showed him the power of the Siddhis by coming out of a locked room and by floating above ground. He told that Purohitswami also would experience these Siddhis in future and would realise that Brahman is only real and the world is unreal. Then he blessed him in Shri Dattatreya’s name keeping his hand of blessing on Purohitswami’s head. He also told him that he was going to leave next day for Varanasi and offer his body to the Ganges. Subsequently Purohitswami received a telegram from a disciple that he had really done so at sunrise as planned. He began to live an austere life and slowly lost his liking for luxurious mode of living. He also realised that his so called friends were not real friends but jealous, ungrateful persons indulging in spreading all sorts of rumours about him. He remembered his father’s words that: if one wishes to attain high ideals and realize God then lesser one keeps contact with people more would it lead to ultimate happiness. He began regular reading of Gita and Gurucharitra and practising yoga and sitting in deep meditation. He used to observe certain austerities like sleeping without a pillow on a straw bed (made of Darbha grass), bathing thrice daily followed by worship and japa. During vacations Purohitswami used to go in search of saints, listen attentively to their advice and serve them. He realized that each saint lived and behaved differently but he never indulged in judging them because he believed in the metaphor his father used, “When we eat a mango we never bother about the tree from which it came; whether it was a five year old tree or fifty year old, whether the tree is planted by a crook or a saint. Mango will always taste like a mango. One should just enjoy it.” He also noted that these great persons never spoke ill of one another but it was their disciples who in order to show the greatness of their own Guru indulged making bad propaganda about others. He also realised common man’s inability to understand teachings of such great persons due to his own limitations. He failed in his BA examination but passed it later as an external student from Calcutta University in 1903. He then went to Pune to study law and en route visited many holy places of Dattatreya worship such as Narsobawadi, Oudumber and Kolhapur. At Hubli he met the great saint Siddharudha Swami who, to the surprise of his disciples, came out specially to bless him even though it was not the normal time for visitors. For the final year of his law course he joined a college in Bombay taking a teacher’s job for financial support and residing in Kalyan, a suburban town about 60 Km from Bombay. His yoga practice continued. To keep his body and mind pure he limited his diet to milk and fruits. He used to prefer Siddhasana posture which all big yogis use. He preferred the easily achievable Rajayoga to the Pranayama of Hathayoga, which, unless practised under an able Guru, can be harmful, leading even to permanent damage. One day he saw Shri Dattatreya in his vision and realised that this was the deity he was pining for. But he also realised that all these deities are ultimately the same and take form according to individual mind and perception. Meets his Guru His seriousness of the mind and inner understanding developed fast after he started worshipping Shri Dattatreya. One day while he was lying down on his grass mattress he began to cry with the thought that God was very hard hearted but probably he was not yet worthy of meeting Him. Just then one of his friends came and told him that he had come to take him to a great yogi saint who was staying with his friend. They went to a Chawl (tenement building) called Kirtikar Chawl. The yogi who was sitting on a tiger skin got up as soon as he saw Purohitswami and as their eyes met embraced Purohitswami saying, “We are meeting after many days isn’t it?” Purohitswami experienced indescribable bliss in that embrace. That acquaintance was of previous births. The yogi made him sit by his side, to the utter amazement of everybody. They talked for a long time. The yogi was thin with hardly any flesh on him but very effulgent. Fragrance was emanating from him. Purohitswami could feel his strong spiritual vibrations. He assured that God was taking care of him and he would experience Him one day but he should keep patience. Then blessing him he bade farewell and Purohitswami left. Purohitswami did not know at that time that it was this friend, only four years older than himself, who was to be his Guru. This saint’s name (or rather surname) was Natekar, who later took the monastic name Hamsa Swami. Visit to Girnar Immediately after he wrote the last paper of his final law examination, he went to meet his yogi friend Mr Natekar who was preparing to go to the Girnar Mountain, the famous place associated with Shri Dattatreya. He invited Purohitswami to accompany him. They camped at a friend’s house for three weeks spent in yoga practice, meditation and meeting visitors. They set forth to climb the mountain on Dattajayanti day, the day of the birth of Shri Dattatreya, which that year in 1907 fell on twenty-fifth December. Purohitswami had become weak due to his restricted diet but his friend was giving him courage. It was necessary to reach the place of Dattatreya Padukas before evening. By afternoon they reached the Gomukhi Kund, a small lake where they took a little rest in the Shiva temple. Purohitswami felt fresh after a bath in the cold lake water. While he was praying on the lake shore he saw an extremely beautiful woman standing under the Oudumber tree. She was a yogini who had come to meet him and give him her blessings. She reassured that by the blessings of his Guru all his wishes would be fulfilled. They reached the Dattatreya hill, their final destination just after sunset. Due to the extreme weakness Purohitswami fainted when he touched the Padukas but in that unconscious state itself he had a vision of Shri Dattatreya who again asked him to come to him and not wander here and there. He asked him to do tapas for attaining him. They then returned to Junagarh. Purohitswami was happy that he was accepted by Shri Dattatreya. His friend Mr. Natekar was instructed to go to mount Kailas in the Himalayas. Purohitswami set for Amaravati. En route he visited Shegaon, famous for the great saint Shri Gajanan Maharaj, where he met his father. Gajanan Maharaj told his father not to worry about his son. Serves Shri Dattatreya at Mahur From Amaravati Purohitswami went to Mahur, another place associated with Shri Dattatreya. It is the place where Shri Dattatreya comes every night for sleep. First he reached Yavatmal from where, instead of taking the road, he proceeded to Mahur on foot through the jungles. After two or three days travel without food, he came to a temple at the base of a hillock. There he met an old man, the temple priest, who had been waiting for him because only the previous day he had a vision in which God told him, “My darling boy is coming tomorrow. Look after him properly.” Then he asked him to take bath and freshen himself because it was time for the evening Arati. It was in this temple that Shri Dattatreya came to rest at night. It was a beautiful temple, built in stone, with a large assembly hall in front. There was a small cot in one corner. He was told that this was where Shri Dattatreya rests at night. The priest joined by Purohitswami burnt incense, recited Vedic hymns and sang arati. He then made an offering of naivadya (food offering) praying Shri Dattatreya to accept it and come there for the night rest. They then spread a clean white bed sheet on the cot, a woollen Kashmiri shawl and kept a soft pillow to which rose scent was applied. Lighting incense sticks they sang Shej-arati, the last prayers said before deity before the deity sleeps. (Though God is formless and attributeless, for the purpose of worship a form is assigned to Him. Corresponding human attributes are also assigned and naturally it is assumed that the deity sleeps at night, gets up in the morning, cleans his or her mouth and partakes of food twice daily as man would do.) The priest then told Purohitswami, “This is the bed that you were so anxious to see. If you are fortunate then you will see Shri Dattatreya.” He further assured, “He comes here every night any time after about eleven and you will know of his presence by the sound of his sandals or some other sign. Perhaps you may also see him when in the early morning he leaves for Varanasi to bathe in the Ganges. He is so merciful that he will make you know of his presence some way or other.” The priest then locked the temple door and invited Purohitswami to his home for a meal. Purohitswami declined the invitation so he brought him some milk. After some discussions on spiritual matters and exchange of divine experiences he left, leaving Purohitswami in the assembly hall alone to experience Shri Dattatreya’s presence. Purohitswami sat in the cold dark hall repeating God’s name, his faculties alert for any sign of Shri Dattatreya’s arrival. Around one a.m. he heard the sound of sandals treading the ground, and the whole atmosphere was filled with a divine fragrance. He stood up to welcome his Master and made obeisance repeatedly with folded hands. He was drenched in sweat and his eyes were full of tears of joy. He was standing like that for a few hours. The sound of the sandals again came, this time receding. It was a sign that Shri Dattatreya was leaving after the night’s rest. The priest was happy to hear of his experience which was repeated the following night also. On the third night, with the priest’s permission, he decorated the bed with flowers. He had the same experience of previous nights. He could hear the sound of the cot when the occupant turns on sides. Again in the morning he heard the door being opened and sounds of receding sandals amidst entrancing fragrance. Next morning when the priest opened the temple door he was shocked to see the creased bed sheet and the shawl lying on one side as happens when one gets up from the bed. The signs of somebody having physically used the cot were evident and the priest was certain it was the result of Purohitswami’s intense devotion and deep faith. This was the first time he was seeing such an event. Purohitswami left after bidding farewell to the old priest accepting his blessings. When he emerged from the forest he saw a yogi who was naked and was looking as if he was staring into the infinite. Purohitswami approached him and made his obeisance. The saint muttered, “Behold the darling child of God who is struggling to get to Him.” and hurried away. Purohitswami was sure these remarks referred to him, but the whole thing happened in a flash moment and appeared like an illusion. The drinking yogi From Mahur Purohitswami came to the nearby town of Darva with the intention of meeting a sage. This sage, highly respected for his knowledge, could always be found in a tavern drinking liquor but was never affected by it. He used to say, “You people do not need advice or wisdom, you are born with it. But for these people who come here the best thing they have is liquor and they offer it to me and I give them in return the best thing I have that is the power of yoga.” Purohitswami was staying with a pleader friend of his in Darva. The sage unexpectedly came there to meet Purohitswami and advised him to get married assuring him that his Guru would see it would not come in the way of his spiritual progress. Marriage His father decided to settle permanently in Pune and came there with the entire family. Soon after coming to Pune he arranged for Purohitswami’s marriage to Godavari, a good girl from middle class family. She mixed well with his family, understood her husband’s love for the spiritual path and gave him her full support. Purohitswami would have liked to observe celibacy, but now that he was married the Shastras required that he father a male child in order that the family lineage continued. It would have been unethical to hurt the feelings of his family who dearly loved him and he compromised himself into following a family life leaving everything to the will of God. Their first child was a daughter. After her birth his wife also joined him in spiritual sadhana. When he told this to Mr. Natekar he gave a sweet smile and embraced him. Purohitswami accepted his discipleship and sat at his feet. Mr. Natekar came from a rich family known for their good, ethical behaviour and religious nature. His father was a famous advocate who had handed over his share of property to his brother after their father’s death. Purohitswami’s Guru was married and had two daughters and a son. He had completely devoted himself to the spiritual path. He had given away all his property in charity keeping just enough for family’s survival. He was fully supported in his endeavour by his wife. He had considered Shri Dattatreya as his Guru and learnt yoga from various yogi saints. He had also made a pilgrimage all over India surviving on alms. Thus he had a lot of experience of the spiritual as well as the materialistic world. He had many disciples whose call he heard telepathically. Sometimes he would suddenly get up as if he has received a message and say he must go urgently and somehow he would reach that disciple who might be in need of his help or be in the final moments of his physical life. His Guru came to stay with him in Pune and he had full opportunity to serve him. But his Guru always treated him like a friend. Whenever Purohitswami prepared bath water his Guru would go into a deep trance and come out of it after Purohitswami recited some Vedic hymns. He had achieved complete unity with God. Their stay together was very helpful to Purohitswami in overcoming many difficulties in his yogic practice. His Guru toured Maharashtra for six months taking Purohitswami with him. During the tour they had discussions on yoga and spiritual topics with many yogis and other people. Purohitswami realised that he himself had also developed certain powers for healing. During the travels Purohitswami received instructions from Shri Dattatreya to start writing. He did not begin to write immediately and that day the vision was repeated. On the third night Shri Dattatreya again came in the vision and telling him that he was aware of his unwillingness to write but asked him to write for his sake. And when he sat for writing, he wrote three books in English, “In Quest of Myself”, “Harbinger of Love” and “Song of Silence”, taking eight days for each. Later he wrote two more books, “Honeycomb” and “At your Lotus feet”. Later he also wrote poems, a drama, a novel, and a practical translation of Gita in Marathi. Besides he also wrote articles in Hindi and in Sanskrit on the topic of God. After the birth of daughters in 1910 and 1914 and a son in 1915 the way for his adopting sanyasa was cleared according to the Shastras, (subject of course to the consent of his wife). His wife agreed to give her consent. After bidding farewell to his parents and family he left for Girnar where his Guru was waiting for him. But he did not become a sanyasi immediately. Humility in service His Guru used to tell him that there was nothing new in the path of yoga. Every day the same steps are to be repeated. More we concentrate on the inside more one forgets the outside world. The more you concentrate on God the less your self-interest becomes, and your attention is drawn towards perfection. Pursuing your goal with complete determination strictly and without bothering about anything else is the only proper way to attain it. Purohitswami found pleasure in serving his Guru. There was no duality between him and Guru. Serving him was not a service at all. But real test lay in serving somebody who had no love or respect for you. Purohitswami therefore took up a 24-hour job with a person on a small salary. His wife and children also came to live with him. Their lodging and boarding was part of the wages. He worked for four years for an unappreciative person attending to his trade in the combined role of accountant, clerk, manager and labourer all in one. Only his Guru’s strength carried him through. He experienced during this stint the truth of the dictum “Rich can do no wrong”. At the end of the four years his family went to stay in his Guru’s ashram and Purohitswami himself went to Mumbai. The rigours of the job had weakened his health. But a Gujarati friend took care of him and he recovered in about two months. He made one more visit to Girnar during the stormy monsoon weather of July dressed only in a gown and possessing only a brass pot for water. (1) To live by begging for alms only once in a day and only in one house. (2) To accept invitation for meals without bothering about who has invited. (3) Not to observe any caste restrictions. (4) Never beg for money or clothes. (5) Accept hospitality from any home only for one day unless requested by the host. He then gave him a begging bowl and bade farewell. Purohitswami remembered his Guru telling his mother sixteen years earlier that the day she would see begging bowl in her son’s hand would be the day of rejoicing. Purohitswami went to Girnar and from there to the holy places all over India from Himalayas to Kanyakumari again in the Himalayas to Rishikesh, Uttarkashi, and Badrinarayan. He travelled by whatever transport offered to him and if none then on foot. He had no money and could ask none for it, but somehow somebody always came along to help him either with a ticket or ride in a vehicle for the next stage of his journey. Many people whom he had never seen in his life before gave him shelter during his travels and felt happy in his company and talking to him. Sometimes his presence brought cure to the sick in the house and they were grateful. Hand of Shri Dattatreya Purohitswami left everything to God’s mercy and saw His hand working in times of need. Once while going to Himalayas from Hardwar, a person who had promised to give him some money next morning for his travels did not turn up. However as Purohitswami was leaving he came running and told him that he had forgotten his promise as he was engrossed in a worship but a sanyasi had come and reminded him. The person had rushed home to bring the five rupees for giving to Purohitswami. He had asked the sanyasi who he was and was told, “I am Dattatreya.” Purohitswami thanked the person and explained to him who Dattatreya was. Purohitswami felt sorry that Shri Dattatreya had been put to so much trouble for his sake. During the dangerous travels through treacherous paths in the chilly Himalayas a dog suddenly joined him and accompanied him until his return to the plains and then disappeared as suddenly. He met a saint who invited him for meals. Purohitswami stayed with him for five days. At night while everybody was shivering he saw the saint sweating, such was his yogic attainment. Purohitswami had nothing new to tell him because the saint knew Purohitswami’s mind inside out. On the other hand there was plenty to learn from him. Actually the saint told him before departing that he had a deep love for Purohitswami and had specially come there to meet him. After five days he asked Purohitswami to continue his pilgrimage and bade him farewell. There was even an incidence when he was saved from going on a wrong trail in the mountains by Maharshi Vyasa himself. But he came to know this two years later only from a saint when he returned to Pune. Such are the spiritual relations not comprehensible to worldly people. Before going on the pilgrimage Purohitswami had kept away from public contact as much as possible to avoid disturbance in his sadhana (spiritual efforts). Many monks try to remain aloof from public for the very same reason and often do their sadhana in the solitude of deep forests. But it is one thing to avoid the world and another to face it and live in it without getting disturbed by vagaries of its behaviour. The former is comparatively easy but real test of equanimity which is the main sign of a yogi lies in the latter. The pilgrimages such as Purohitswami was doing were meant to prepare the seeker for developing equanimity. Purohitswami now had to eat whatever was offered to him and sometimes nothing at all. In India it is part of religion and culture to feed a guest and especially sadhus who in turn bless you and share some of their spiritual knowledge with you if you are interested. But then not all are generous. He met an old lady who gave him stale puris even though fresh ones were available, and in Kashmir where he was entertained by a Government official, the keeper of the guest house where he was sheltered used to divert the good food sent for him to his own starving family. In Mathura, the place made famous by Shri Krishna the ocean of compassion and notorious by the greedy priests, the priest of a temple to whom Purohitswami approached for alms, instead of giving alms, directed him to buy food from outside with own money. But these were exceptions which go to make the world what it is. He had to taste all sorts of food typical to the local customs: the sweets of Madhya Pradesh, extremely hot food of Andhra, food with lot of tamarind in Tamilnadu, the spiced tea of Gujarat, the salted tea of Kashmir and so on, and digest it. He had to accept and live on food which he had never liked earlier. This created a type of attitude of acceptance and removed all love of bodily pleasures. On his return Purohitswami was ill for several months with weak heart, liver, kidneys and what not. Allopathic treatment did not work and finally he was cured slowly and steadily by Ayurvedic treatment given by one of his friends. One day his Guru called him and expressed satisfaction at his physical and spiritual progress and suggested he should go abroad. There were many persons there who were impressed by his poems. In India itself the principal of the Wilson College, Father Scott was very much impressed by his poems and had suggested that he should visit England. Now the same suggestion came from his Guru. After arranging for funds and getting introductions to various personalities abroad he left for England in 1930. While in Paris he again suffered from influenza and doctors had given up hopes. But that night he saw his Guru in person by his bedside in the hospital where he was kept. He kept his hand on his chest, gazed into his eyes lovingly and vanished. Purohitswami recovered to the surprise of all. Before the departure for England his Guru had told him, “Remember that you are the Brahman.” Purohitswami says, “People ask that if this world is filled with God then why good and evil were created and why the differences of big and small exist? The answer is that the norms of the practical world are not applicable to the divine. The differences come from intuitive understanding and are to be understood individually. Others cannot give you that understanding. When we personally enjoy the bliss of attaining the Divine with concentrated mind, we also realise and obtain the highest kind of bliss.” It is not clear when Purohitswami left his mortal body but it is believed he passed away in the late 1930s or early 1940s. We now come to the biography of an unusual Datta devotee, Shri Chile Maharaj, who lived in Kolhapur and has a large number of devotees in Pune and Bombay. His name was Shankar and was the son of Mr. Dattatreya and Manjulabai Chile, a family of cowherds (Gavali) from Jeur, a village about twenty-five kilometres from Kolhapur. He was born on August 15, 1922. He lost his mother when he was a child and his father moved to Kolhapur where he studied up to matriculation. Unfortunately his father also died when he was studying in the matriculation class. Around the same time some strange changes occurred in his personality and he left his studies. It is not clear what he did for the next five or six years and where he went for spiritual guidance. One version says that just before the matriculation examination his teacher remarked that he would not pass in mathematics; taking it to heart he remained for three days in a state of meditation in his closed room. After some days he went to the nearby Panchganga River and sat there in meditation for twenty-one days near one of the samadhis on the river bank. It is said that Shri Siddheshwar Maharaj brought him out of the samadhi state but since then he used to remain continuously in “Unmani” state, a high state of trance. When he was about twenty-two he began to be known for his apparently incoherent behaviour like a mentally deranged person but people also found that whatever he said or predicted came out to be true. People started coming to him for solving their problems through spiritual means and the word spread that he was a great saint. Many took spiritual advice from him and found peace. He was unpredictable in his behaviour and would wander or eat anywhere and anytime, a behaviour associated with Avaliyas i.e. saints who have attained spiritual perfection who are not bound by any rules of behaviour. In the compound of the famous Mahalakshmi temple of Kolhapur there is a Dattatreya temple near the north gate with an Oudumber tree nearby. Shri Chile Maharaj used to come there occasionally and rest under the tree. One day he picked up a bucket and started sprinkling water in front of Dattatreya temple. Mr Vyas the temple priest objected to it and angrily drove him away. The same night Shri Dattatreya came in Mr Vyas’s dream with a trident and damaru (a small drum) in hand and angrily asked him why he had stopped him when he was sprinkling water, warning him not to it again. Now he realised the worth of Chile Maharaj and was full of remorse. When after a few days Shri Chile Maharaj (he was about twenty-five years of age then) came to the temple Mr Vyas, understanding now that he was a form of Shri Dattatreya, prostrated before him and worshipped him by regular ritual with sandal paste, flowers followed by arati. Recognising the bond of devotion now developed, Shri Chile Maharaj used to visit Mr Vyas at his home also. On the Gurupurnima day Mr Vyas would perform his worship elaborately in great splendour while Chile Maharaj, who normally would have created some chaos, watched the whole process serenely respecting the devotion of Mr Vyas. Besides Mr Vyas there were others like Mr. Sitaram Mane, also from Kolhapur, who had recognised the presence of Shri Dattatreya in Shri Chile Maharaj. He began to be known as Dattaswarupi Shri Chile Maharaj, Dattaswarupi meaning having the form of Shri Dattatreya. Shri Chile Maharaj had devotees from all strata of society. He rarely remained in one place. If anyone wanted to know his whereabouts people went to a shoemaker who has a shop in Kolhapur (The shoemaker is no more. His son runs the shop). He always knew where Shri Chile Maharaj was at any time. Shri Chile Maharaj was beyond all rules and used to eat meat and drink hard liquor but was never affected by it. He often made others drink a glass of the drink but to them it tasted like coconut water or sherbet. He would shower choice abuses on a person and be very loving at the same time. People believed that when he abused somebody it removed a lot of karmas from that person’s account. Often his behaviour and his instructions looked ridiculous for a common man, but people knew that they should obey them if they were to benefit. He would give difficult tasks to people who came for spiritual guidance to test their steadiness. He always advised not to forget Shri Dattatreya while leading a family life. Mrs. Rajkunvar Bobde has given her experiences with Shri Chile Maharaj in an article. She used to have a deep desire for practising yoga for spiritual purposes but was afraid to consult anybody because of the hypocrisy prevalent in the spiritual field. She practised meditation only at home. She had met Shri Chile Maharaj first in 1963 and was impressed by him. She tells about how Chile Maharaj blessed her and predicted she will have good spiritual experiences. Two days later her Kundalini was awakened while she sat for meditation. She experienced bright light and musical sounds while in the state of meditation and saw Goddess Jagdamba in her beautiful splendour and later Shri Narasimha Saraswati of Alandi, who had taken samadhi hundred years earlier. Mr Baburao Athane, a Jain by religion, was his ardent devotee and has written his biography which is out of print today. He became a devotee after he had a strange experience of the occult powers of Chile Maharaj. Mr Athane had once gone to Narsobawadi on the instructions of Chile Maharaj. After worship the priest gave him five pedhas (milk sweet ball) as prasad. He returned to Kolhapur and was going to meet Chile Maharaj when somebody slapped on the back. It was Chile Maharaj himself who asked for his five pedhas before even Athane could say anything. Athane’s mother was an orthodox Jain worshipping Shri Mahavir. She had no faith in Chile Maharaj. He also refused to go to Athane’s house because she did not like this person who lived like an Avaliya who she thought desecrated her house. But one day she had the vision of Shri Mahavir in him and the situation changed. Many other persons became his devotees because of similar visions through which their Gurus told them they were not different from him. Many had similar experiences. 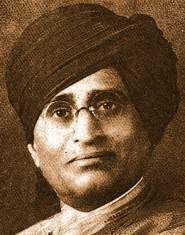 One thing must be mentioned and that is, Chile Maharaj used his powers to benefit his devotees and he used them even to free people from possession by spirits and effects of black magic besides curing people of their illnesses. Though he guided many he never initiated anybody as his disciple. Chile Maharaj used to consider Shri Shankar Maharaj of Pune as his spiritual elder brother. Devotees of Shri Shankar Maharaj were always welcome in his presence. For a fortnight before he left his body he was not well and had become very weak. His devotees brought him from Kolhapur to Pune and admitted him in a hospital. He passed away on May 7, 1986. His body was first taken to the house of Mr. Datta Abhyankar, a great disciple of Shri Shankar Maharaj where thousands of people paid their respects. From there the body was taken to Paijarwadi near his birth place Jeur where he had already selected a place for his samadhi. His body now reposes there. Thousands of devotees visit there every year. Currently his sister Akka looks after the daily arrangements. The biographies presented above take one to the world of seekers and saints who have only one aim and that is self-realization. Worldly desires and ambitions are all secondary and are abandoned by the seekers who do not mind even physical pain for achieving their goal. Some may hanker for a vision of Dattatreya and some may even be successful in achieving it but the main aim even there is Shri Dattatreya's grace for achieving that goal. Some of us worship him in a normal human form dressed as an ascetic and some others as the form with three-heads-six arms or some other combinations. But we must take cognizance of Sir Vajrendranath Sheel's statement (See Part I-A) and on the same lines of argument say “Whether Shri Dattatreya we worship is the Historical one or the Puranic one or whether we worship Dattatreya as a principle does not matter. 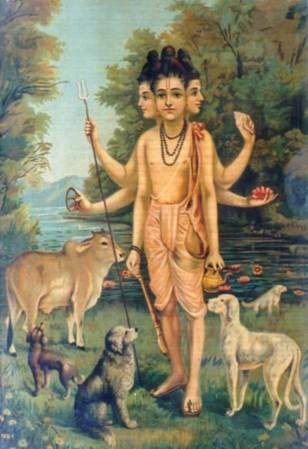 The three can exist independently and the vision devotees get is of the Dattatreya we worship in the form we imagine him to be, either one headed or three headed or we may merely experience him as a Principle or a manifestation of the Ultimate Brahman." We see a Divine hand in the way in which any particular saint was steered in his lifetime towards his goal. Many aspirants read such biographies and become sad or lose hope because they do not get their divine experience. But they need not because one does not know who they were in their earlier lifetimes, leaving alone their own spiritual achievements. Success depends upon so many factors: strength and sincerity of desire, one's character, behaviour and attitudes, regularity of Sadhana (spiritual efforts), and most of all Divine grace (Dnyaneshwari 18:348-352), may extend over more than one lifetime and every step we take takes us nearer to the goal in whichever lifetime the Divine will lead to it. Many of the saints achieve siddhis (occult powers) by virtue of their sadhana. Though it has been recommended that these powers should not be used lest it causes their spiritual downfall, the compassion of these saints is such that some of them take the risk to help mankind. And it appears they do get a Divine support in this. The Orthodox and Non-orthodox We note among the devotees and avatars of Dattatreya two distinct attitudes towards the Chaturvarnya or the Four-caste system in the Hindu religion and towards the hitherto prescribed ways of behaviour for the four castes. . There are the extreme orthodox saints like Shri Vasudevananda Saraswati and Vamanbuva (Brahmachari) Vamorikar who believed that Dattatreya’s avatars were intended to maintain the four-caste system which they considered as the foundation of the Vedic religion. Though their grace extended to all, they considered Vedas, and many religious practices are taboo to women and non-Brahmins. They considered reciting Vedas in their presence and people of other religions a great sin resulting in even rebirth as a Chandala, i.e. lowest of the low castes and an untouchable. Opposed to this we have saints like Shri Swami Samarth, Shri Sai Baba of Shirdi, Shri Shankar Maharaj, Shri Chile Maharaj, Purohitswami, the Nath Sect yogis, saints belonging to the Mahanubhava sect etc., who never gave any importance to caste or gender or even religion. That is why there are many Muslims who are devotees of Dattatreya and many belong to the Nath sect. We shall see in the forthcoming discussions that in the early Vedic times there was a Varna system which was not birth based but evolved into a birth based caste system later. Though the four-caste system has been rigorously practiced over centuries, the advent of foreign rule has made the system very much redundant. There are many orthodox Brahmins who still practice the daily religious rites as prescribed by smritis which is very creditable because it gives them a great inner strength and even Divine grace. However for the most part, the caste system seems to be invoked today only as far as marriages are concerned in most parts of India. Thus foreign rule, both by the Muslim invaders and by the British-Portuguese-French conquerors, has had great influence in progressively changing the socio-religious structure of the Hindu society in India. Large scale emigration abroad has further changed the manner of religious practices in the alien lands on account of the very different geographical and climatic conditions there, compared to the native Indian. Adjusting to Socio-political conditions We note from the biographies of the avatars and devotees of Dattatreya that these saints worked according to the socio-political situation existing during their era and tried to save the Hindu way of life from corruption at the same time extending their compassion and grace to others whether a Hindu or not. Before the Muslim invasions of India, the Hindu daily life was led according to the caste system. Study of religious texts and philosophy like darshanas, Bhagavad-Gita etc. was restricted to Brahmins; Kshatriyas were assigned fighting and protection of people; Vaishyas were traders, farmers and practiced other crafts also; Shudras were supposed to serve the higher castes. There was no caste system but only varnas in the Vedic times when Brahmin, Kshatriya and Vaishya were professions and not castes; a Kshatriya's son could choose to be a Brahmin as can be seen from the example of king Shantanu's brother Devapi who chose to be a rishi and became the disciple of Rishi Arstisena. Devapi’s hymn occurs in the tenth mandala of the Rigveda. Brahmins also chose to follow Kshatriya profession: Parashurama became a warrior and King Bharata’s son Vitatha was born a Brahmin of rishi Bharadwaja descent. To a lesser scale even Vaishyas could be rishis as may be seen from the example of Manu Savarni who became a priest to kings Nahusha and Yayati. After the profession based caste system turned into birth based caste system a conflict between the Brahmins and Kshatriyas started as to who was superior. A good amount of text in Shantivarva of Mahabharata is devoted to this issue. Parashurama's battles with Kshatriyas is part of this conflict. With time however, with Kshatriyas becoming busy in ruling the kingdom and in wars, Brahmins tightened their hold on them banning even Brahmin women from listening to Veda recitations, making education and learning a Brahmin sanctuary, in stark contrast to the past when women like Maitreyi and Lopamudra could be rishis. With the advent of Buddhism the system broke to some extent because Buddhism (and also Jainism) did not recognize the caste system and admitted all in their fold. After Adi Shankaracharya (ca. 8th century AD) resurrected the Hindu religion the caste system again raised its head even though it borrowed many things from the new Buddhism. Puranas created the new Dattatreya around this time, and it is no wonder that they stressed that his birth was meant to save the Chaturvarnya system i.e. the Four-caste system. The Chaturvarnya system seems to have been an accepted way of life until Muslims began to rule India. Early Muslim invaders invaded to loot and take it away to back home. They also killed men from the conquered areas and took away the rest to be sold as slaves. What happened to the caste system among these enslaved victims when survival overrode everything else can well be imagined. Later Muslim invaders came to stay and rule the conquered regions. For the sake of administering the conquered lands these rulers had to be tolerant to the conquered people because they needed the services of educated people good in administration, which the Hindu educational system provided. Brahmins who were educated were the first choice and out of avarice many of them converted to Islam. Those who did not convert had to change their lifestyles to suit the new masters because all said and done to royal displeasure meant imprisonment, death or forced conversion. Unfortunately the bane of the Hindu psyche has been that while they could be courteous or indifferent to non-Hindus, Hindu society is not sympathetic with their own brother Hindus who socialised with Muslims. They are quickly outcasts, forcing them to be converted. Next were the warriors and other castes that went the same way. But this tolerance did not bridge the divide between the followers of the two religions. Step motherly treatment with restrictions on the Hindus became a normal way of life. Brahmins being the highest educated class well versed in the Dharma, rituals and ethics have always been the guiding flames in those matters. Suppression by Muslim rulers and natural human avarice undermined their capacity to guide. The type of egotistic Brahmins mentioned in Ch 25 of the Gurucharitra, who bragged about their knowledge of the Vedas, reciting them before the Muslim king and travelling in the kingdom with his permission seeking debates with other Brahmins naturally lost the moral right to guide the Hindus in the matter of the practice of Dharma. Thus it was natural and proper for Shri Narasimha Saraswati (1378-1458 A.D.) to uphold the Chaturvarnya System. Within two centuries after Narasimha Saraswati, it was common for Brahmins to work for the Muslim rulers. Janardanswami and Eknath had reached a high level in the administration and the Muslim king was so influenced by the spiritual power of Janardanswami that even the weekly holiday was shifted from Friday to Thursday in Daulatabad. By this time some Muslim Sufis had begun to worship Dattatreya who appeared before Janardanswami and Eknath dressed as Malang i.e. a Muslim fakir. The birth and the field of action of the Fourth Dattatreya avatar Manik Prabhu was in the Muslim ruled Nizam kingdom. By this time merger of Hindu and Muslim population had reached some sort of equilibrium point. Manik Prabhu was supported by the Nizam administration and also had many Muslim followers though they seem to have been attracted more by his occult powers than the religious doctrine of the Sakalmat Sampradaya. By this time the British had started ruling a major part of India. We see repercussions of this in the attitude of Shri Swami Samarth the third avatar. We see Swami Samarth totally ignoring rules of caste, gender and religion. He had Muslim disciples and among Hindus, he had disciples among Brahmins as well as Shudras. He tried to rid his disciples of the caste and religion bias as can be seen from his instructions to Balappa to drink water from an "impure house" and Madhavji Govindji to give the food first to a fakir and then eat the remnants. But not everybody accepted it. We have already seen how Vamanbuva Vamorikar has supported the Caste system in Guruleelamrita. Thus we see that the avatars of Dattatreya in the last seven centuries have been in consonance with the socio-political conditions and have tried to elevate the spirituality level within the society against the prevailing odds since the first avatar 1320AD. When one reviews the biographies of Datta-devotees, we notice that a large number were Brahmins by birth. This should be expected because Brahmins had a more intimate religious background compared with others and also had the basic training in austere behaviour by choice or by birth rather than by poverty. But many Datta-devotees were not Brahmins e.g. Kinaram Aghori (a Kshatriya) and Chile Maharaj (a cowherd). Among the disciples of Shri Swami Samarth were Swamisut (a maratha), Ananda Bharati (a fisherman) and the Muslim Jamadar of Mandargi. Chand Bodhale, the guru of Janardanswami was a Muslim. When we come to Nath sect yogis who are also devotees of Dattatreya we note that these yogis came from even lowest strata of society e.g. Jandharnath was a shudra or probably even lower. The Four paths Dattatreya tradition has devotees who follow all the four paths viz. Jnana (Knowledge), Action (karma), Yoga and Bhakti (devotion.) We may note that it is natural, for historical reasons that the path of jnana in India would be followed almost exclusively by Brahmins though that need not be the situation today. In olden days, karma implied performance of yajnas etc. and would have been confined only to Brahmins and Kshatriyas. However the Bhagavad-Gita interprets Karma more broadly as any action or duty in normal life and further enjoins the doer to do actions with the attitude of a non-doer. Yoga also in ancient days - because it requires a Guru - was confined mostly to Brahmins and Kshatriyas, but with the introduction of Rajyoga and especially the Siddhayoga or Shaktipat system of awakening kundalini (See Biography of Gulwani Maharaj in Part VII-3) persons including women from all strata of society have been initiated in the system. The fourth path of Bhakti or devotion does not require a Guru. It requires only a spark of devotion to be created in the mind. How can a caste system prevent anyone from being a devotee? When we come to the devotees of Rama and Krishna (especially as Vithoba of Pandharpur) we see devotes from a wide range of caste levels: the untouchable Chokha Mela, Narahari the goldsmith, Sena the barber, Saint Tukaram a Vaishya (who had a Brahmin disciple), Gora the potter, Namdeo the tailor and Eknath a Brahmin, just to name a few. The Varkari sect who are devotees of Vithoba of Pandharpur observe the caste rules only for Matrimonial purposes. Kabir was a Muslim and his guru was Swami Ramanand Tirth, a Brahmin. Thus the path of Bhakti or devotion has devotees from all strata of society and the deity worshipped may be any of the many deities e.g. Shiva, Vishnu, Devi or Dattatreya. Passage to Hypocrisy In the new way of life during and after the British rule livelihood became increasingly dependent upon attending offices and factories. Punctuality became a virtue and the timetable of work came to be determined by the Gregorian calendar instead of the muhurtas (auspicious times) from the lunar panchangas. In the beginning, it was the higher caste persons that joined such type of work in the government offices. People from other castes also joined with the opening of the education the other castes. With a stable government with built-in protection from law and order, business and trade increased and naturally offices to manage them also increased. Cities developed and progressed. Banks progressively replaced the traditional moneylenders. In general need for management of both government and private enterprises created a boom in the number of office and factory workers from peons, clerks, operators to managers who had to be punctual. Thus it became impractical to live with the daily routines prescribed in Ch 36 and 37 of Gurucharitra or in smritis in general for a traditional Hindu way of life except in the rural areas. Ghaisas (See Bibliography) in the commentary on the above chapters in the book giving the prose translation of Gurucharitra acknowledges this situation and conceding the impracticability of practicing the prescribed routines recommends that they should be modified to suit the conditions. However this has not resulted in the rethinking about the practicability of a caste system in modern India. And in the Hindu religious system there is no final authority on religion. Problems of Urban life Today we see a very hypocritical Hindu society in which we talk about casts without really bothering about behaviour according to caste rules. In today's world it is difficult to observe them. Nobody bothers or has ever bothered that the very texts taboo to Hindu non-Brahmins were made freely available to Western Scholars under the protection from British rule. They not only translated the Vedas and other ancient religious works into English and other languages making them available to one and all but also analysed them among thoroughly for their authenticity also among other aspects. We have given up the caste system for all practical purposes. Even those Brahmins who read Gurucharitra piously and study the 36th and 37th chapters on the prescribed behaviour of a Brahmin cannot live according to those prescribed standards. Those who live in cities and have to maintain work timings cannot observe the rules of sandhya strictly. He has to take at least one meal plus the mid-time snacks outside his home and not only eat food cooked and served by persons of who knows which caste or religion! One cannot perform a homa in a small flat or feed the cow or even crows during a shraddha ceremony in a city in India, leave alone in a foreign country. In fact, even in the matter of reading of Gurucharitra for which certain norms have been prescribed, there are Datta-devotees who have to mange the reading during the free time available during flights or a bus or car ride. I personally am sure Lord Dattatreya would not mind these devotees bypassing the norms, such is his compassion. Problems of living abroad People who have to travel abroad in the west for a living have still worse problems regarding traditional religious practices. In the northern latitudes in the west the length of the day may be from about eight hours in winter to sixteen hours in summer; in the arctic zone countries sun does not rise at all for a few days and does not set at all for another few days six months later. In winter the sun rises almost in the south rather than the east as in the middle and southern India. Smriti rules for daily activities related to sunrise and sunset and to the directions were meant for the Indian situation and do not hold good in these regions. Other problems like taking bath, washing feet and suitable food also exist. Now that a large number of emigrants from India have settled in UK, USA and Europe can our Pundits modify the rules suitably? It appears that the rules of the caste system today are used only in matrimonial relationships. In summary, it is evident that Dattatreya Tradition has always adopted itself to the prevailing socio-political situations. As regards the orthodox views about Dattatreya′s birth being in support of caste system it is evident that these were merely personal views of these saints who lived true to their beliefs. The personal views of the aspirants or devotees or saints do not matter to the Divine. They are really earthly matters, otherwise how could the world which is 90% non-Hindu and therefore beyond the purview of caste system, would have survived? Guru worship is the heart of Dattatreya Tradition. Dattatreya is more often referred to as Datta-guru than any other name. In this tradition we see a fusion of all the four paths viz. Knowledge, Action (Karma), Yoga and Devotion (Bhakti. Every sadhak in this tradition practices a combination of the four paths with Bhakti as a common denominator. Introduction of Shaktipat yoga by Gulwani Maharaj and Swami Loknath Tirth has made the yoga path relatively simple. It has been said that one may experience Brahman through Kundalini path but that experience is without bliss. Bliss can be experienced only if the practice is supported by devotion because devotion is love that induces happiness. Not all devotees are sadhaks or aspirants. They are actually in minority. Most people pray to God with materialistic aims. Life in this world is full of failures, disappointments, pain and sorrow. People need relief. Just as we go to a doctor for our illnesses similarly we turn to God in case of distress if it cannot be mitigated easily. And the best way to approach God is to approach a saint who is closer to God and intercede on your behalf. Even here, it is to approach a saint who is no more in his (or her) physical body rather than a living one because in view of the large number of frauds going around, it is safer to go to a proved saint. When people cannot reach a saint then they perform vratas like fasting, reciting mantras and japa, worship rituals, reading and recitation of Stotras and so on. For Datta devotees reading of Gurucharitra has proved to be very effective probably because it brings you nearer to Dattatreya who listens to your problems. Now we close this series on Datta-devotees by saying Jai Gurudevadatta.